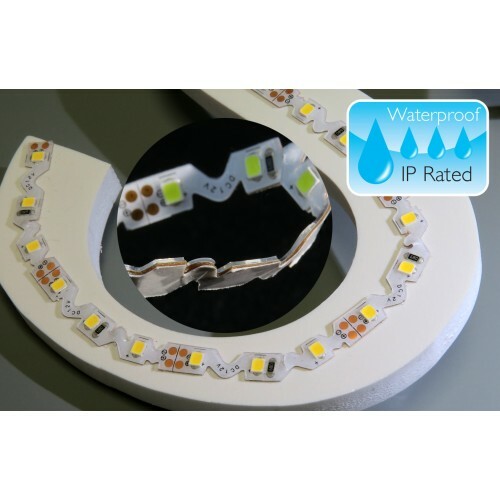 Silicon covered LED strip that allow you to bend it in any direction, ideal for small and shallow letters that require an uniform spread of light. It can bend and twist where normal strips fails. Self adhesive, ideal for sign lighting, contour lighting, architraves lighting, cupboard/cabinet lighting etc. Can be cut every 50mm intervals at marking points and rejoined by soldering at soldering points. This product requires a 12V LED Power Supply Unit.